Simply put, an X-A1 is virtually an X-M1, but with a regular Bayer sensor instead of the X-Trans sensor. That's pretty much it. Oh, wait, I haven't reviewed the X-M1, have I? 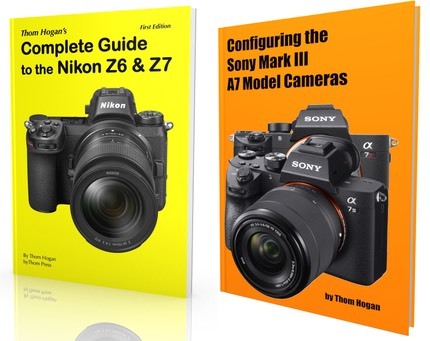 Well, consider this a review of both cameras, though for the X-M2 you'll have to look at my image quality remarks on one of my X-Trans sensor camera reviews (e.g. X-Pro1 or X-E1), since it uses that sensor. The X-A1 is Fujifilm's (current) entry-level mirrorless camera, which retails for US$600 with the 16-50mm lens. Let me just say right up front that this is a darned good bargain. A 16mp APS sensor that's quite good sitting behind a well made 16-50mm (24-75mm equivalent) f/3.5-5.6 OIS lens in a well-built body is about as good as it gets in mirrorless here in late 2013/early 2014. The downside is that the X-A1 (and X-M1) is a rangefinder style body without an EVF or an EVF option. Basically you're stuck composing with the 3", 920k dot tilting LCD. If there's a drawback to this camera, it would be holding the camera away from your body in bright light: you might get some camera shake in your shots and you might have trouble seeing the LCD. That said, in no way is this really any worse than with any smartphone, compact camera, or low-end mirrorless camera. A few of those options might have a display that's a little easier to see in bright light, but that's about it. As with all the X cameras, there's a bit of "retro" in the design. We have an exposure compensation dial, a rear command dial, a Mode dial and a function button up top right. The rest of the controls mostly center around the Direction pad in the lower right back of the camera. Besides the Fn button, we have a Quick button and we can save one custom set to a position on the Mode dial. Not hugely configurable, but enough for most folk to get to the shooting settings they want quickly and conveniently. The body itself has a very small ridge-type front grip and a rigged thumb grip on the back. Both are welcome, but not exactly enough to strongly right-hand the camera and make settings simultaneously. Both surfaces get slippery when wet. The on/off switch is around the shutter release, right where I prefer it. Cables come off the right side of the camera if you're using them (HDMI, USB), which is not preferred as they get in the way of handholding the X-A1. The camera has a centered hot shoe, but the tripod socket is offset from the lens center. 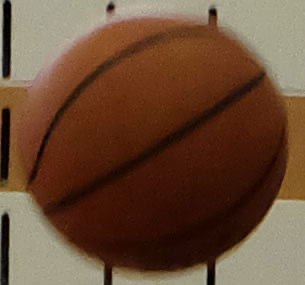 A small pop-up flash is at the left top of the camera, and you can "bounce" it with your finger by holding it out of the normal position. The menu system is straightforward and mostly understandable, though why Fujifilm is using the word "photometry" for "metering method" I have no idea. A couple of these head-scratchers appear in the English menus. Given that you'd likely be setting most shooting parameters via the direct controls or the Quick menu, this isn't a terrible fault. The camera has WiFi and Smartphone support, including the ability to send smaller, resized images to the phone. Overall the feature set is quite good for an entry-level camera, as is the build quality. The camera comes in blue or black, and is made in Japan. Source of the reviewed camera: purchased from dealer stock. The red Record Video button is badly located near where you right thumb will naturally rest. I've hit it more than once not wanting to. You also have to watch that exposure compensation, as the dial is at the edge of the camera and fairly loose and easy to move without noticing. I would have preferred just a bit more resistance to the dial. The Mode dial, on the other hand, has plenty of resistance, plus it's going to pull up a screen-side reminder of what you're setting as you move it, so it's far more difficult to accidentally move the Mode dial without noticing. Beginners will find two all auto modes on the camera. I hate it when camera makers do that. Have some confidence in your "auto" adjustments, guys. When you give us two "auto" settings, you're basically giving the user two additional exposure modes, but not really telling them what is changing. For example, on the X-A1 we have SP+ which the camera tells us "Selects optimum camera settings for a certain mode" versus Auto which is "automatic mode setting according to shooting conditions." If you can parse that, you're doing better than I. We also have Portrait Scene mode versus Portrait Enhancer Scene mode on the Mode dial. Way to confuse the user and send them scrambling to the manual for explanation. I wish the camera had a better grip, but considering that you're likely to have to shoot with this camera with both hands, it's not a big failing. I found shooting with it better than most compact cameras, not as good as a DSLR-type camera, so Fujifilm has correctly positioned the X-A1 directly between those in price, features, performance, and handling. I should briefly mention the lens, since the 16-50mm comes with the camera (no body-only sales at the moment). It's optically quite good, but it's a simple lens. While OIS (image stabilization) is built into the lens, there is no switch on the lens to control it, you have to menu-dive to change whether it's in use, and the parameters associated with it. Likewise, this is an XC lens, not an XF, which means that there isn't an aperture ring. You'll be controlling apertures with the back dial. But wait, how do you control the shutter speed in Manual exposure mode? Ah, the exposure compensation dial isn't actually marked as exposure compensation: it's actually another multi purpose dial, and in Manual exposure mode it turns into the shutter speed dial. A simple enough solution, though it might baffle you at first if you didn't read the manual. Focus: the X-A1 is a contrast-detect focus camera, so it's not DSLR-fast in focusing. That said, for single point focus acquisition it's actually very quick, even when macro focusing. The drawback is that low-light and low-contrast focus performance isn't nearly as good, though if you can keep from blocking the AF Assist Lamp you sometimes get very good low-light focus performance. Continuous autofocus is poor, in my opinion, almost to the point of unusable. But that's fairly typical of contrast-detect focus systems. Battery: Fujifilm claims 350 shots (CIPA) on the NP-W126 battery, and I'm not going to quibble with that. As with all the compose-by-LCD cameras, you'll get a fair amount of variation on battery life depending upon how long it takes you to compose and set the camera. In one trip I got over 400 shots on a charge, but I was shooting quickly. The nice thing is that the X-A1 uses the same battery as the other Fujifilm mirrorless cameras, so you can consider getting an X-A1 as a backup to your X-E2 or X-Pro1, for example. WiFi: Fujifilm's app is image-sharing only at this point, with no control of the camera. Thus, the performance actually is respectable: the camera held to my iPhone pairing without hesitation and transferred images quickly and as I expected it to do. Sometimes simpler is better. Image Quality: Interestingly, the use of a Bayer sensor doesn't really seem to have changed Fujifilm's JPEG tuning in any way I can tell. Similar strong colors with a bit of yellow shift in the green and the red (a double hue shift), though not quite as much shift as with the X-Trans sensors. At base ISO, the X-A1 output is cleaner than the X-M1, in my opinion. At the lowest level there's a tiny bit of "grit" in the fine detail that isn't there in the X-M1, but I don't find that objectionable at all, especially since it's very random. To a large degree, the X-A1's output looks a lot like the Sony NEX cameras at base ISO, only the JPEG rendering is better. At ISO 3200, the X-A1 is clearly a bit noisier than the X-M1, but the noise is very random and well controlled, which really doesn't spoil the image at all. To my eye, the X-Trans high ISO results start to get a little "flat" compared to the Bayer sensors, though if you're blowing an image up large enough that you're going to see pixels, at some point the X-A1's noise will become clearly visible and less preferred by most people to what the X-M1 does with the same settings. I'm thinking that's a pretty high ISO value and pretty large print, though. Overall, strong color and very low noise at ISO 3200. Colors are blocking up a little bit at ISO 3200, but that's fairly typical, and we are looking at 100% view here. This is Fujifilm "normal." Note how the sky has gone cyan. That's actually a fairly typical result with a Fujifilm JPEG, one I've always found I don't like and have to adjust after the fact. But I want you to look down through the end of the covered bridge, deep in the shadows. See anything? Surprisingly, there's a lot of recover potential even in the Fujifilm JPEGs. The raw files are even better in this respect. I'm not sure whose sensor Fujifilm is actually using in the X-A1, but it has a lot of that Sony deep recovery ability to it, which would make me guess Sony or Toshiba. Everything, as it turns out. One stop exposure push plus bringing the Shadows slider all the way up puts us near where we should have been. The Fujifilm green/yellow is still there, even though just a moment ago it was blackish blob. Overall, I'm impressed with what this little camera can do when necessary. That's the benefit of a state-of-the-art APS-sized sensor, after all: little noise, plenty of recovery potential, and at 16mp plenty of resolution for most uses. Late last year I wrote that the X-A1 was a candidate for entry level mirrorless of the year, and I think you can start to see why: the image quality is impressive, even with the slow kit lens. There's nothing that really gets in the way of the serious shooter, other than perhaps having to compose on the 3" tilting LCD. The controls are straight forward, the build quality very solid, the feature list decent, and the price down there with the entry-level APS DSLRs. In a smaller, lighter package. So these cameras are all in the same ballpark, especially if you aren't time sensitive and can wait for a discount on the one you really want. In terms of shooting with them, I enjoy the Fujifilm and Samsung the most. They're very straight forward, no-nonsense cameras that aren't going to confuse you. The Sony gets high marks for very small size with that 16-50mm collapsing kit lens, but the lens isn't quite as good as the Fujifilm's and the NEX three-button user interface puts some people off. The Olympus feels a little "nerdy" to me in comparison to the others, and it's a small step behind in sensor performance. I wouldn't fault you for picking any one of those four models (or their likely successors that'll appear soon). Still, I kept picking up the Fujifilm when those four cameras were sitting on the table, and having used all the other Fujifilm lenses, I can say that there are some really nice combinations. The 18mm f/2 comes to mind, as it's a small, highly competent lens, but the 27mm f/2.8 pancake is another really interesting choice for the X-A1. I've been looking for a camera that's small, competent, and straight forward to give to my mom. The X-A1 is high on that list at the moment. 2018: this model is out of production and no longer available new. But used copies can easily be found. Also, check out the current X-A5 model.